A journal entry is a recording of a transaction into a journal like the general journal or another subsidiary journal. Journal entries for accounting require that there be a debit and a credit in equal amounts. Oftentimes, there is an explanation that will go along with this to explain the transaction. A journal entry means that a transaction has taken place whether it is a sale to a customer, buying goods from a supplier, or building a warehouse. These transactions affect both the balance sheet and income statement. As said before, journal entry accounting requires that there be an equal debit and credit for every transaction. This is also known as double entry bookkeeping. Many journal accounts have a normal balance. For example, assets have a normal debit balance if the account is increased and it is a credit if it is decreased. The following example will use both balance sheet and income statement accounts to show how they work. 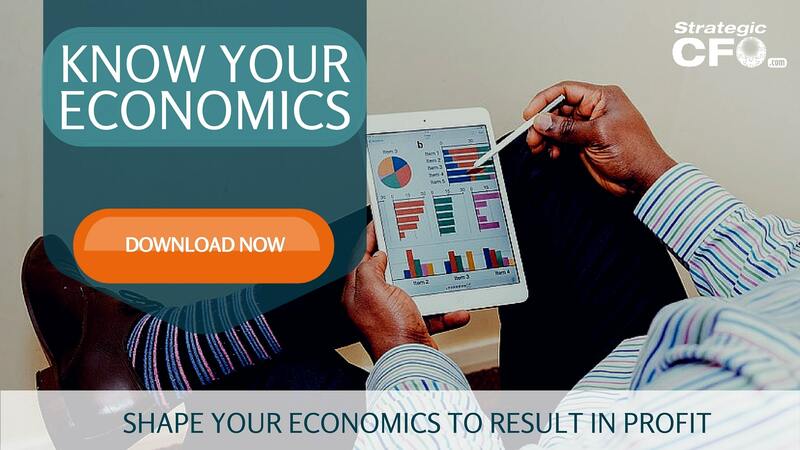 If you want to add more value to your organization, then click here to download the Know Your Economics Worksheet. Originally posted by Jim Wilkinson on July 24, 2013. Define a general ledger as the financial record of every transaction of a company. Commonly, it is referred to as the “books” of the company. In the general ledger, record each of the transactions twice as both a subtraction (debit) and addition (credit). The general ledger is the main accounting record of the company. Consequently, general ledger reconciliation is the process of ensuring that accounts contained in the general ledger are correct. In short, reconciliation makes sure you place the appropriate credit and debit in the associated accounts. Seemingly simple, this process requires an experienced bookkeeper when applied to small companies. Complicated applications require the hand of a trained CFO or equivalent controller. In either situation, a general ledger reconciliation policy must by enacted to ensure consistency. Not every general ledger account has a detail subsidiary ledger to reconcile to. Monthly all balance sheet accounts should be analyzed for accuracy. In addition, periodically it may be necessary to reconcile revenue accounts, expense accounts and miscellaneous balance sheet accounts. In these cases the procedures are similar to reconciling an account to a subsidiary ledger. Print a detail general ledger transaction report for the account. Then, eliminate reversing journal entries correcting errors. Finally, investigate any transactions that are unusual in nature. For example a debit entry or decrease to a revenue account would be unusual. Finally, prepare a detailed schedule of transactions remaining in the final balance. First, study the accounting policy of the company. Ignorance to this is missing the essential foundation of the process; knowing the rules is key. Then, gather information. These include receipts, invoices, account statements, invoices, and related financial reports. This data is the information the accounting staff puts into accounts. Third, ask questions about the accounts. What items did the company purchase? Do they relate to company policy? Why are they included in the given account? When were they spent/made? Finally, document your work. Proper documentation ensures properly reconciled accounts as much as it ensures effective bookkeeping in the first place. A general ledger reconciliations template can be found at: Microsoft Templates. Is your closing process as efficient as it could be? Access our Complete Monthly Close Checklist to use when closing your company’s or your client’s monthly books. Originally posted by Jim Wilkinson on July 23, 2013. Let’s face it… There has been significant liquidity in the marketplace over the past couple of years. Debt and equity capital has been relatively easy to find and commercial banks have been very willing participants as capital providers; however, many of the commercial banks have admitted that this robust marketplace is a prolonged cycle and not a permanent or semi-permanent marketplace shift. By definition as a cycle, what goes up must come down. Already, many of the commercial banks are starting to whisper about declining portfolio quality and tighter credit standards. This has been attributed to issues regarding the subprime mortgage market, rising energy costs, and other economic factors. These issues have resulted in some companies experiencing a weaker balance sheet and a decline in cash flow results. As banks start to tighten their credit standards, many companies may find they have less access or no access to working capital from commercial banks. Banks may elect not to renew certain loans that come due. Also, companies that have tripped a covenant or are in a technical default may find that their commercial bank is not as patient and will ask to refinance that loan. So, how can a company still access adequate working capital in a changing bank marketplace? One way is to go about mining the balance sheet assets through an asset based, working capital line of credit. Asset based lending is more common than ever and has become for many companies a more aggressive way to grow their business. Asset based lenders look beyond a company’s cash flow and balance sheet ratios to leverage the business assets for working capital purposes. They also provide an ease of doing business and typically have less restrictive operating covenants than commercial banks. By emphasizing the value of a company’s assets as security and collateral for a working capital line of credit, an asset based lender has greater patience and tolerance for the bumps in the road and inconsistencies in the marketplace that many companies will face on a regular basis. Asset based lenders typically will provide a revolving line of credit against accounts receivables and inventory as collateral. Many asset based lenders will also provide term loans against equipment and possibly real estate. Obviously, asset based lending is not the answer for every company’s need for working capital. It’s because not all companies generate these types of assets. Companies selling at retail or on cash terms don’t typically generate commercial accounts receivable, which is the asset that most asset based lenders leverage as the base for a loan; however, if a company is involved in manufacturing, distribution and many of the service industries, then chances are they would generate the types of assets favored by asset based lenders. The benefit of this type of lending is that the loan availability can grow as a company’s assets grow and, therefore, is not as restrictive as traditional commercial bank cash flow lending – especially in rapid growth situations. Since asset based lenders rely primarily on the company’s collateral versus its cash flow results, they embrace greater credit risk. They also accept inconsistent cash flow results versus commercial banks. So as the marketplace changes and as commercial banks start to tighten up, remember that accessing adequate working capital may be as simple as mining the balance sheet through asset based lending. Book Value of Equity per Share (BVPS) is a way to calculate the ratio of a company’s Stakeholder equity (as stated in the balance sheet) to the number of shares outstanding. Investors commonly use BVPS to determine if a stock price is under or overvalued by looking at the company’s current state. Don’t leave any value on the table! Access our Top 10 Destroyers of Value to identify the destroyers in your company currently taking value away. Investors use both Book Value and Market Value to build strong portfolios. The market price of a stock provides hints to the company’s future growth and financial stability. The book value reveals the current state of a company calculated by its balance sheet. Using both values can assist you in determining whether a stock is valued correctly, thereby helping you invest your money wisely. For example, a company’s BVPS is $4 and the market value is $10. In this case, it does not necessarily mean that the stock is overvalued. However, it might mean that the company’s assets have a high earning power or potential. In comparison, it doesn’t necessarily mean it is an undervalued stock if a company’s BVPS is $4 and the market value is $2. Instead, it might mean that the financial market has lost confidence in the company’s ability to generate future profits. Download the Top 10 Destroyers of Value to identify any destroyers of value and maximize the potential value. Access your Exit Strategy Execution Plan in SCFO Lab. The assets represent what the company owns. Then, the liabilities represent what the company owes. Finally, the owners’ equity represents shareholder interests in the company. The value of the company’s assets must equal the value of the company’s liabilities plus the value of the owners’ equity. This balance sheet formula forms the basis of the statement, also known as the accounting equation. Balancing your balance sheet is one method of knowing your economics. To further shape your economics to result in profit, access the Know Your Economics Worksheet. The “balance” in balance sheet indicates the 2 sides have to balance every time. Therefore, the company‘s assets always have to equal liabilities plus owners’ equity. Now, let’s walk through the steps needed in order to know how to start balancing the balance sheet. Now let’s add the other types of assets. These are “Property, Plant & Equipment” and “Intangible Assets“. Now that we have added all the assets together, go to the right side of the balance sheet. Record the liabilities – current and long-term. After you have your liabilities, add the final portion of the balance sheet – Owner’s Equity. Finally, you have added everything up. Now, verify if everything holds true to the accounting formula. Everything is balanced now, as it should be. If for whatever reason it does not end up balancing, then look back at all your numbers and make sure they are all correct. If you need help shaping your economics, then click here to download your free Know Your Economics guide. 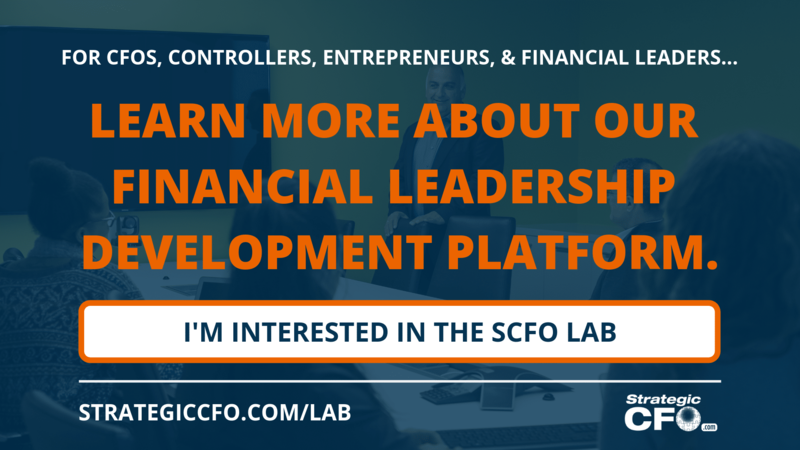 To learn more about our premier financial leadership development platform – the SCFO Lab – and how it can help, click here. A balance sheet is a statement of the companies health. How does the liabilities and equity compare to the assets? Balancing the balance sheet is a critical part of accounting as it gives the company, bankers, and investors an idea of how the company is doing. Does the balance sheet need to balance? Yes. It always needs to balance; otherwise, it’s an indicator that either something was forgotten or there is potential fraud. The purpose of balancing the balance sheet is to create a snapshot of the company’s financial status. It highlights three important categories: assets, liabilities, and shareholder’s equity. In other words, the balance sheet looks at what the company owns, how much it owes to debtors, and how much is invested. Before we go into how to balance the balance sheet, we need to know why we need to do that. It all comes down to double-entry accounting. An important part of the financial leader’s role is to know the economics of the company. Access our Know Your Economics Worksheet to shape your economics to result in profit. First, make two columns. In the first column, list your assets. In the second column, list both your liabilities and owner’s equity. Each column should balance to one another. If your balance sheet isn’t balanced, then you want to look in particular areas for inconsistencies. Some of these areas include retained earnings, loan amortization issues, paid in capital, and inventory changes. Retained earnings can be tricky at times. After all, it is supposed to be the sum of all your net profits/losses ever since you began the business. If you have an accurate record of every number since you began, then this shouldn’t be a problem. However, a far to common problem is that some businesses do not have all the data required to calculate retained earnings. A common practice for this situation is to use retained earnings as a plug number and make it what it needs to be in order to balance the balance sheet. Some people have misunderstanding of what “Paid in Capital” is, and one simple way to define it would be: The amount of money that was invested in the business to get you started. It can either be your own personal investment, or it can be capital contributed by investors. The sum of all initial investments should be under Paid in Capital in the owner’s equity section of the balance sheet. One common mistake that some people forget to consider is inventory changes. It might seem simple to just take a count of whatever inventory you have at the moment, but that may be inaccurate. If you are working towards financial projections, then you will need to predict future inventory amounts as well, and this will affect your balance sheet. A change in inventory also affects your cash flow statement. What you need to do is take the amount from last month’s inventory and subtract the amount from this month, then reduce your cash balance by that amount. After various global fraud scandals in 2002, the U.S Congress passed the Sarbanes-Oxley act which protected investors from the risk of fraud by corporations. It mandated strict improvements within the financial disclosures of corporations. It was responsible for the improvement of the following areas: corporate responsibility, increased criminal punishment, accounting regulation, and new protections. If you need help shaping your economics, click here to download your free Know Your Economics guide. The Shareholders’ Equity Definition is one of the three primary components of the balance sheet: assets, liabilities, shareholders’ (or owners’) equity. These three components comprise the well-known accounting equation of assets = liabilities + shareholders’ equity. This equation is important when beginning to think about what shareholders’ equity means for a business. The owners’ equity category includes two things: investments into the company and retained earnings from each period. The investments can be from when the company launched and from later points in time. The important part is recording the investment under the shareholders’ equity section on the balance sheet. These two combine to fill the gap between the value of a company’s assets and liabilities. Using this logic, you can see how it is equally important to know the value of your assets, liabilities, and shareholders’ equity. If any component is incomplete or inaccurate, the financials will not be complete. For example Company A started with a $100,000 investment from the sole owner. In the beginning, the owner’s equity account is equivalent to the owner’s investment. After one year of business, the company has $60,000 in net profit. The owner decides to pay $10,000 in dividends and sends the other $50,000 to retained earnings. Thus, the owner’s equity account grew by the same amount as the retained earnings for that period. When discussing shareholders’ equity, it makes a difference whether the company is private/public or mature/startup. Private companies often use separate terms for things like stocks, owners’ equity, and dividends. Public companies have more regulations and shareholders to please, so the financials of public companies usually look different than those of a private company. It is important to know whether a company is mature or a startup when looking at the financials. For example, if a startup has a very large retained earnings account under owners’ equity, something is either incorrect or extraordinary. Similarly, if a mature company’s shareholders’ equity is largely composed of owner investments and new partners’ investments, it could represent a struggling business. If the business is not creating enough net profit to reinvest into the company, it would have more owner investments than retained earnings. Have you heard about our Coaching Workshops for CFOs? View our full list of services here. From consulting to coaching, we've got your financial leadership needs covered.